Kale would also work well in this pancake. Bathed in maple syrup and butter, sweet carrots become a special treat. If you find bunched carrots with tops, pick the bunch with the thinnest carrots and leave a bit of the stem attached for a pretty presentation. ‘Corning’ food means preserving it in a salty brine. The large grains of salt used for curing are called corns; and the process was necessary for storing meat in the days when refrigeration was not available. Did you know you can make a dish similar to rice-based risotto using oats? 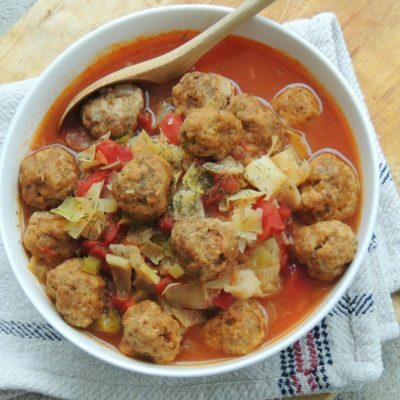 Sometimes you just have to go the extra mile with your soup and make meatballs to go in it. Make this delicious soup with homemade broth concocted from a turkey carcass and leftover turkey meat. Never throw away a turkey carcass! Use it to make a flavorful, nutritious broth for soups. The combination of extracts in this recipe give this cake a unique and delicious tootsie roll flavor. These little gems are wonderful! 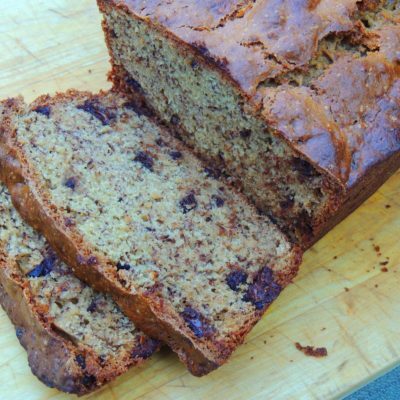 Here is your favorite quick bread with all your favorite flavors rolled into one…banana, peanut butter, and chocolate!